Comments: Karlaplansstudio Stockholm, October 24, 1963 is the show most well known as "Stars of '63". The group is in terrific form, both instrumentally and vocally. This is also a pretty fine recording to boot. 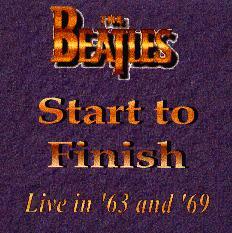 John Lennon often referred to this as his favorite live Beatles recording. The disc concludes with their final live performance, on the Apple rooftop, January 1969. This is from the actual camera feeds, is the complete performance and the best sounding version known to exist, from the recent Yellow Dog set.